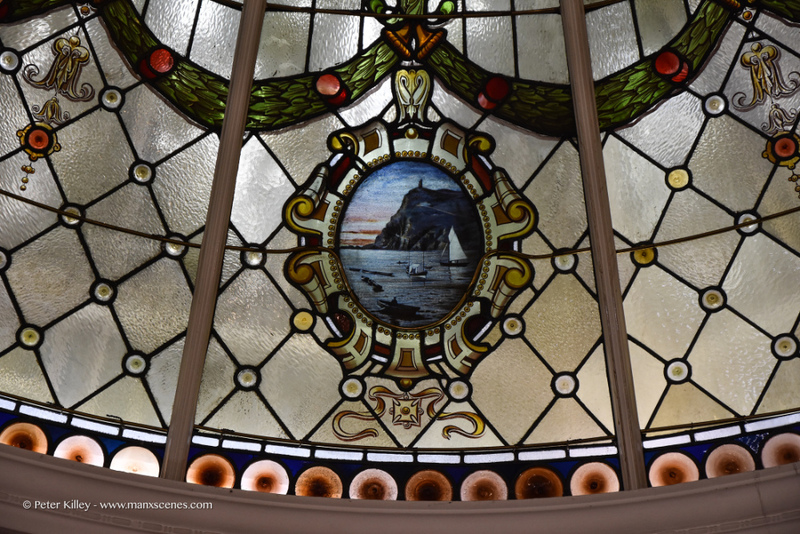 Isle of Man Bank 2 Athol Street, Douglas. 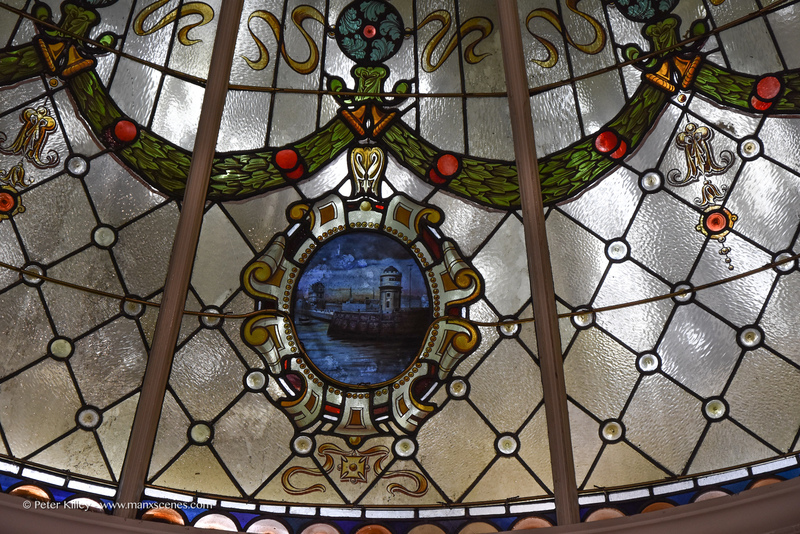 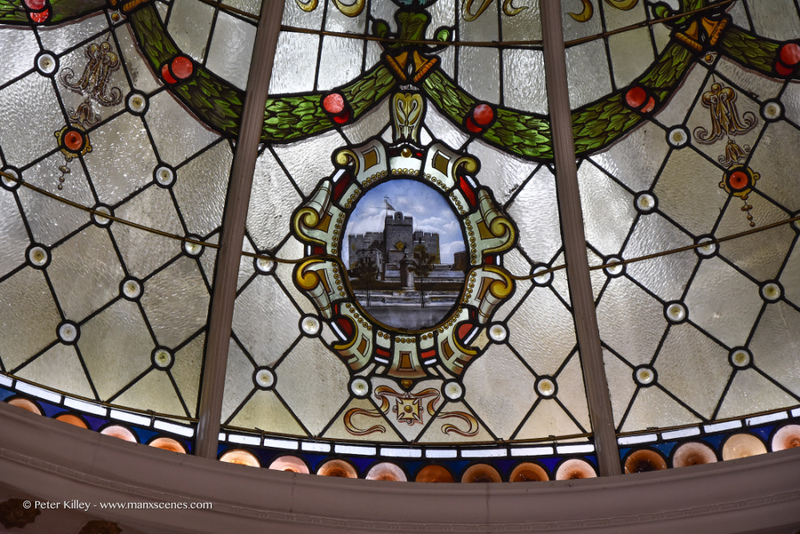 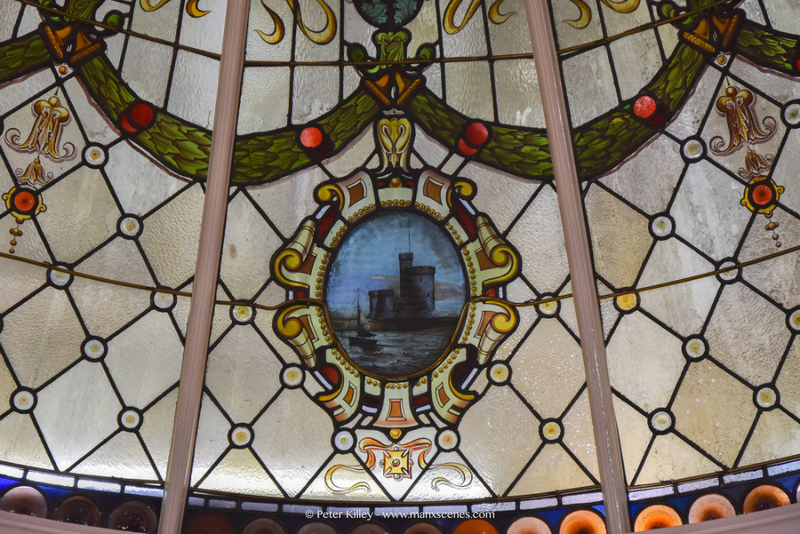 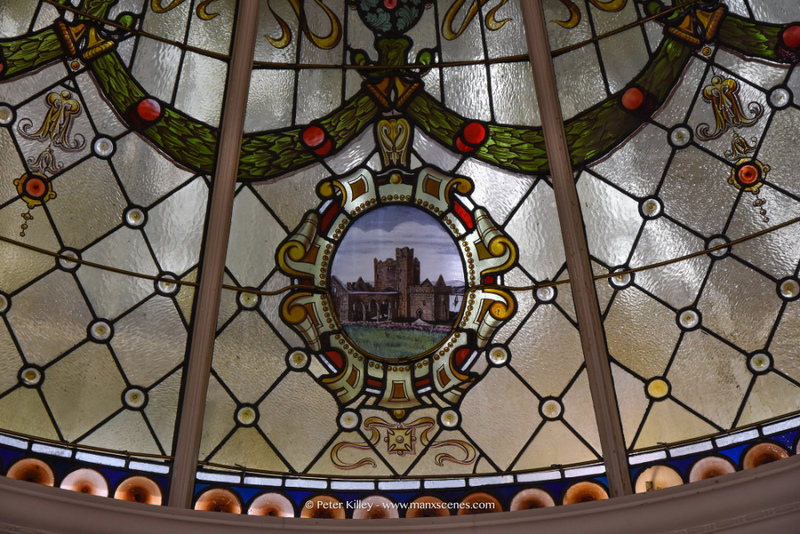 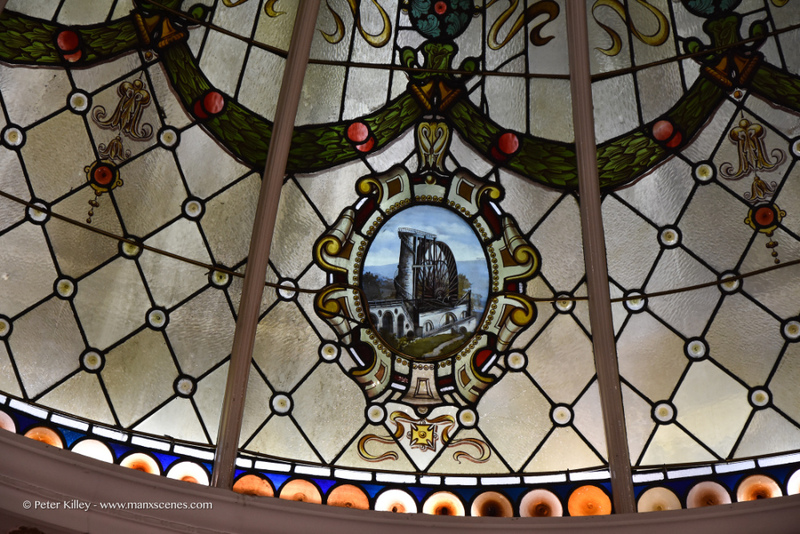 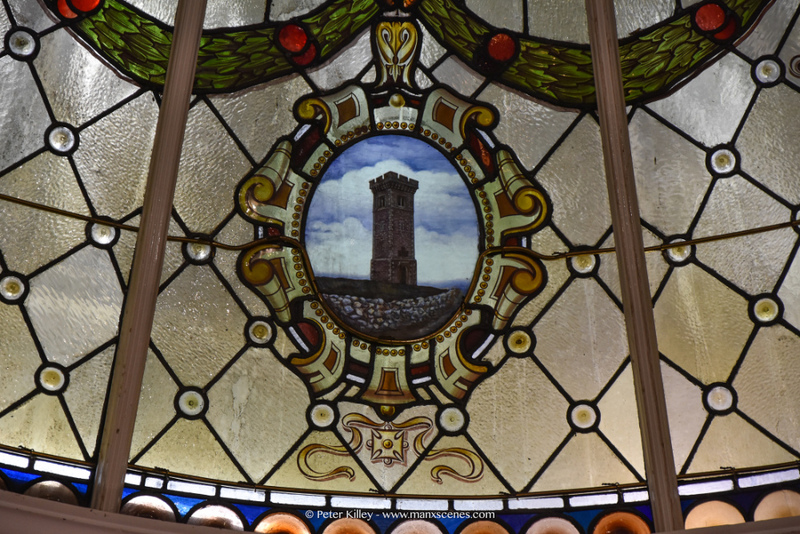 The Banking Hall has a magnificent domed stained glass window which depicts many Isle of Man iconic scenes, which I understand represents each location on the Island where the Isle of Man Bank had premises in. 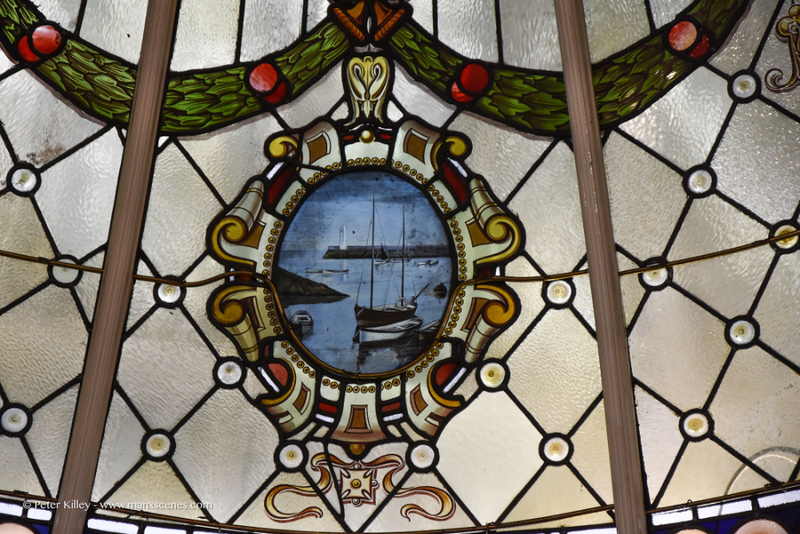 You don’t often see work like this nowadays. 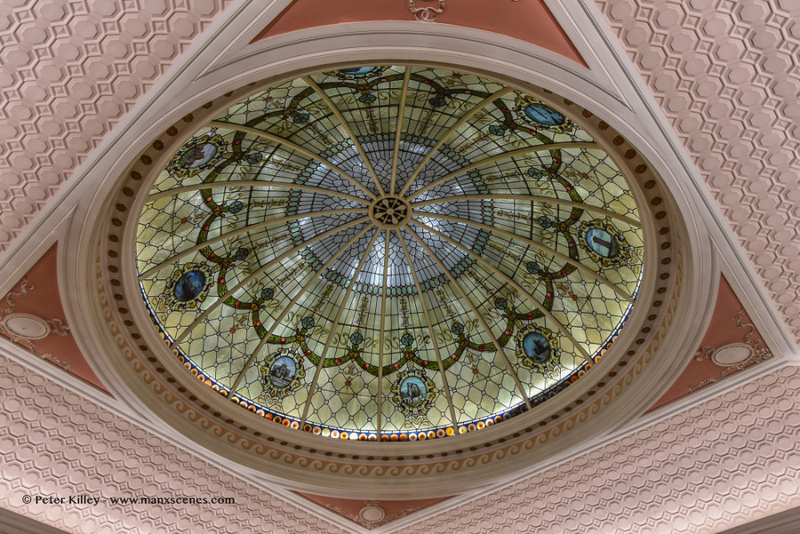 Feel free to make any comments either on this website by clicking the ‘Leave a Comment’ text in this post above or by logging onto my Facebook Page enjoy – Click on any of the images for a larger view. 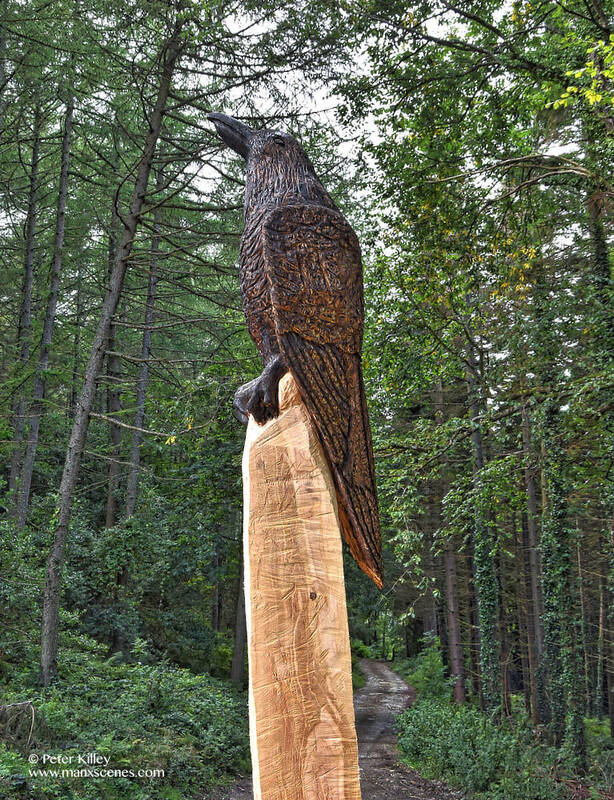 Loving this new Raven tree sculpture that has cropped up in Ballaugh Plantation, whoever has done it deserves a big well done.